Even though it was the middle of November when I was out there, that didn’t stop America from having some of the most incredible Christmas decorations I’ve ever seen out on display. 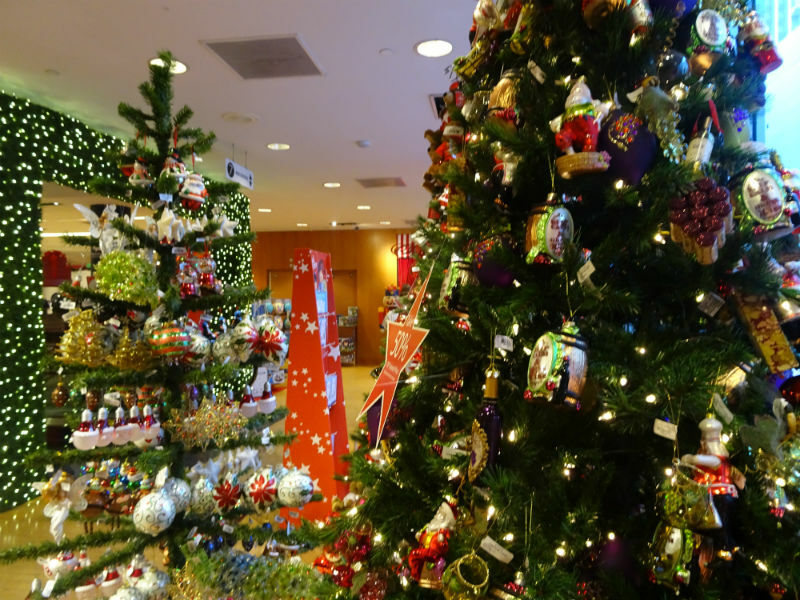 And, of course, where there are Christmas decorations, there I’ll be. 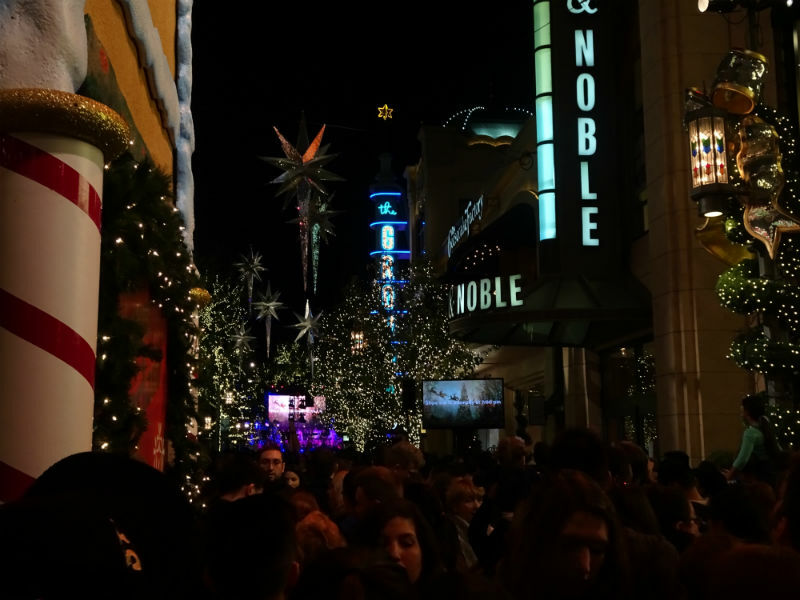 Here are my favourite Christmassy spots in LA and San Francisco that you should check out when you’re there! 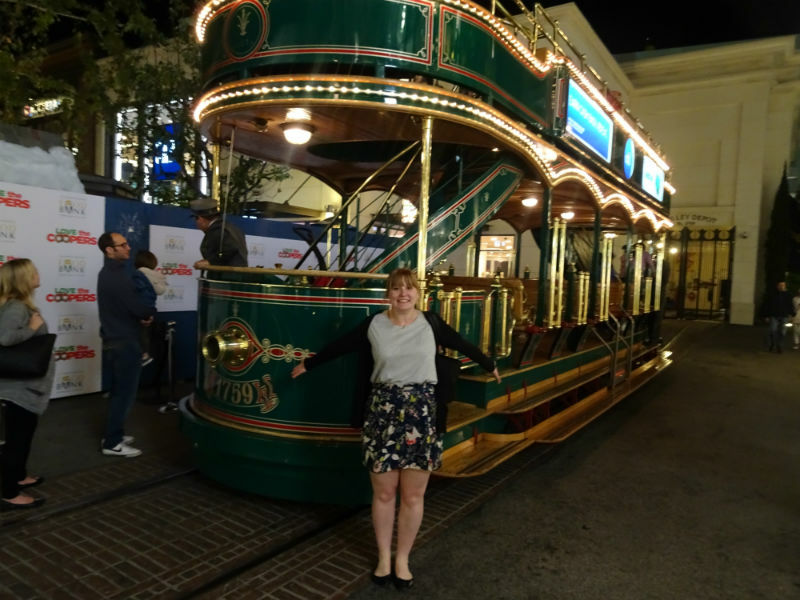 The first time we were at The Grove, we were immediately won over by the vintage tram that takes you from one side of the area to the other, the beautiful shops and the gigantic Christmas tree. 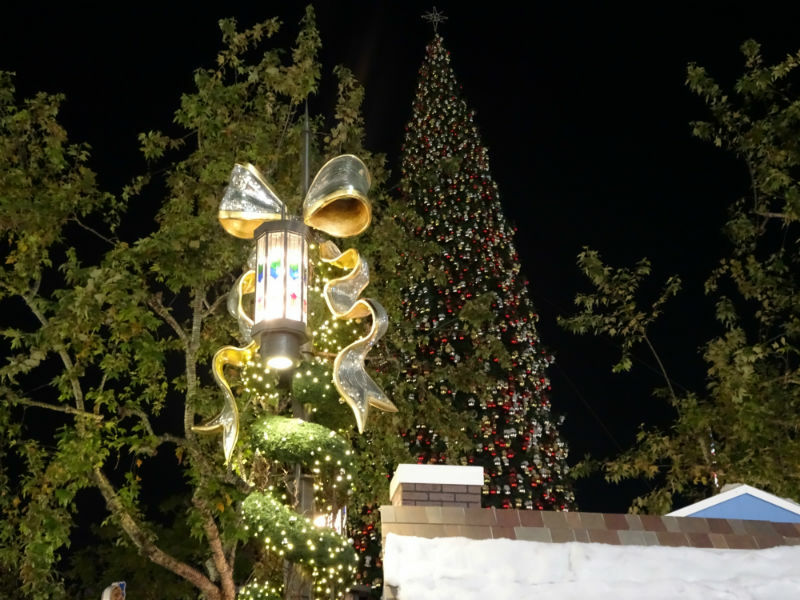 So when we heard that the Christmas lights were being switched on the day before we headed up to San Francisco, we couldn’t resist dropping by for a second time. The Christmas lights switch-on itself was absolutely mental. Probably due to the fact that Meghan Trainor and Seth MacFarlane were there to do the ol’ switch-on honours. But that didn’t bother us. We just swanned into a nearby restaurant for an hour or two, and when we emerged we were greeted by the most Christmassy sights EVER. They even piped in fake snow. Seriously, I cried. It was beautiful. Yes, I am a five-year-old. If Christmas could be like this every year, I would be the happiest girl alive. 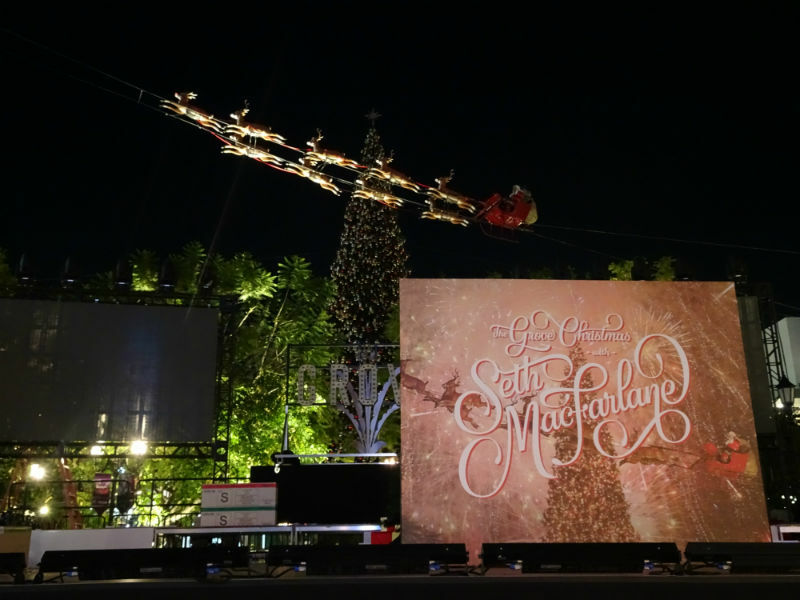 The Grove wasn’t the only place in Los Angeles to have a touch of the festive season about it. 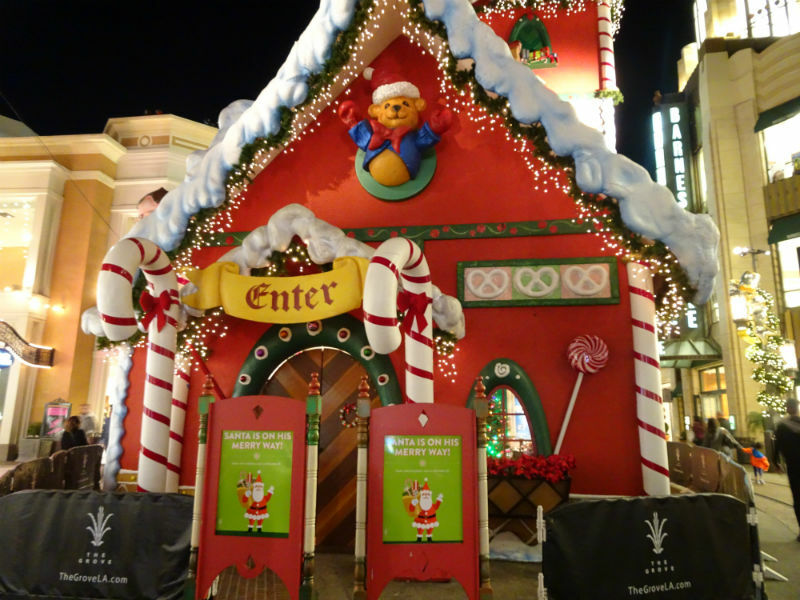 When we visited Universal Studios there were already a few decorations up – which felt really bizarre considering the weather was so warm. 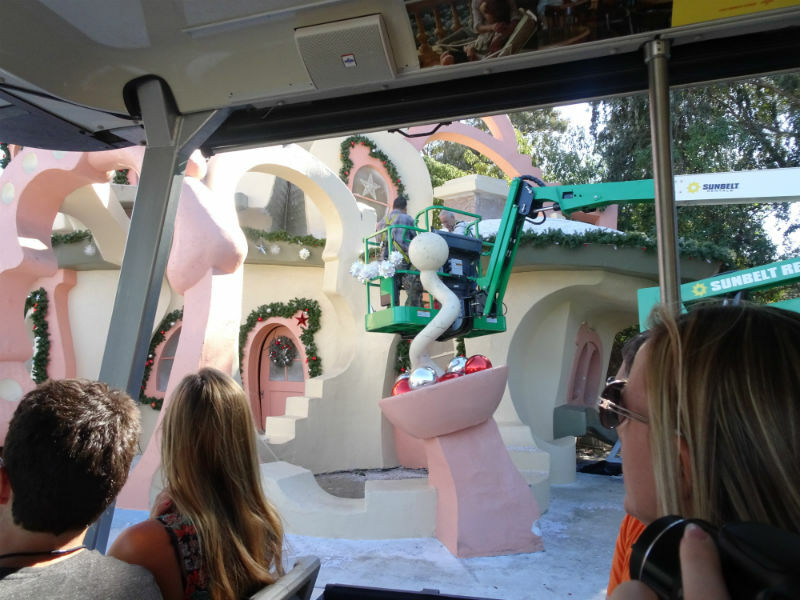 The studio tour even passed through Whoville (from the Jim Carrey film The Grinch). 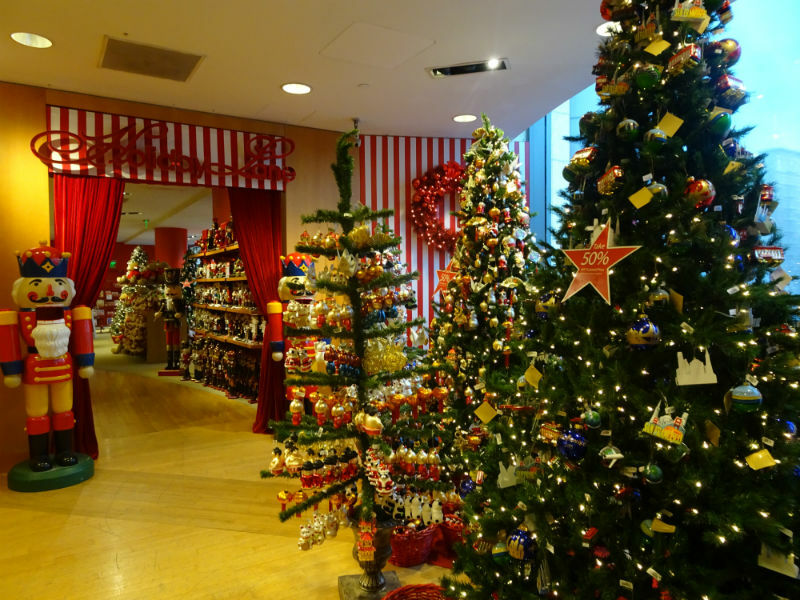 It was still all done up Christmassy, and I shrieked. Quite a bit. 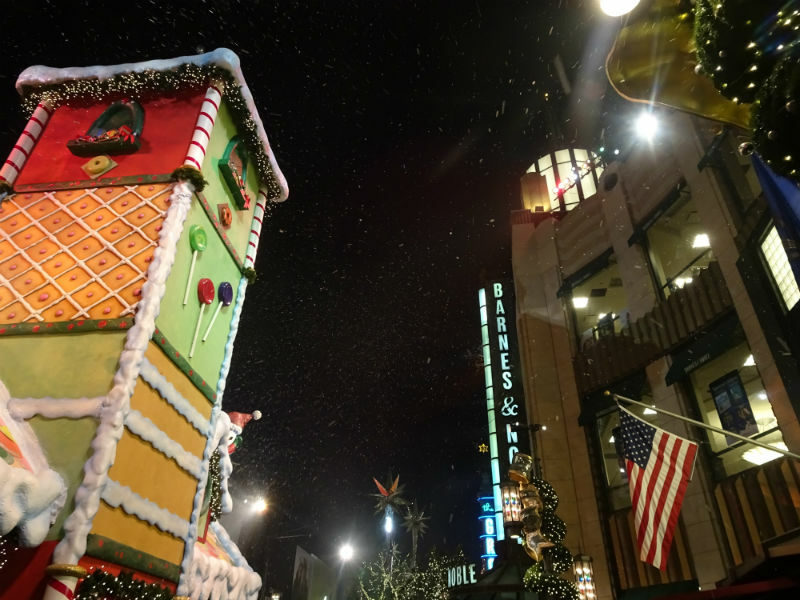 Los Angeles set the Christmas bar high. If I’m honest, I didn’t think that San Francisco could really top it. And it wasn’t until one of our last days in the city when we ventured into Union Square that I realised it really, really could. At the top of Macy’s there’s a Cheesecake Factory (yep, I’m obsessed). But one of the best things about it (other than, uh, all the cake), is that you can head out onto the roof and look out onto Union Square. 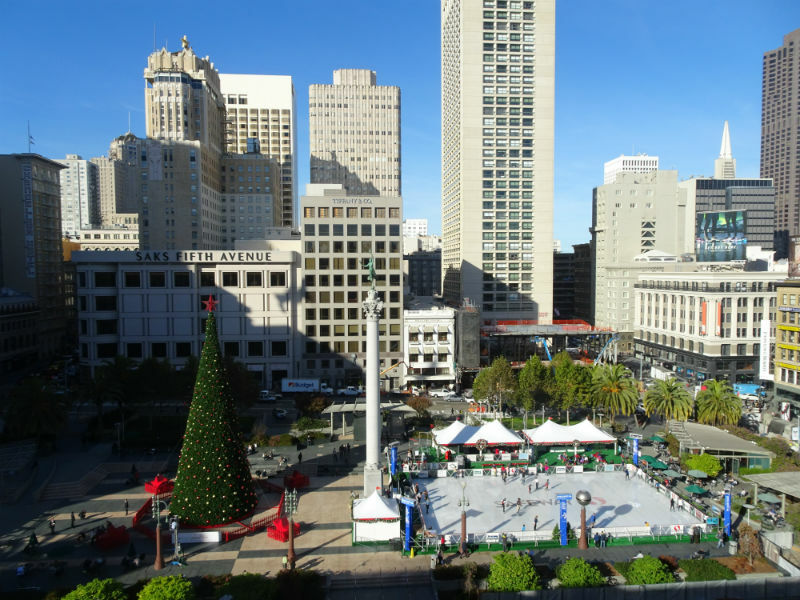 At Christmas, that means a bird’s eye view of the ice rink and the Christmas tree! 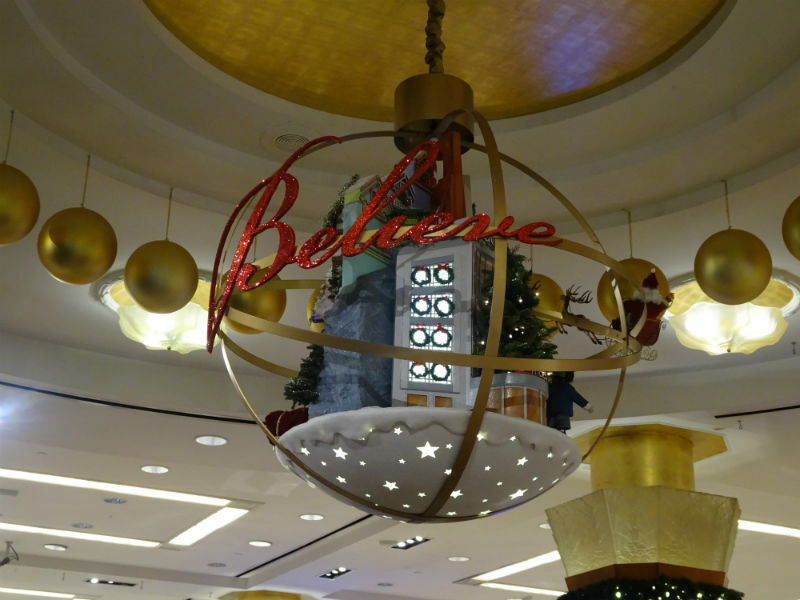 Macy’s itself is absolutely incredible throughout the festive season. 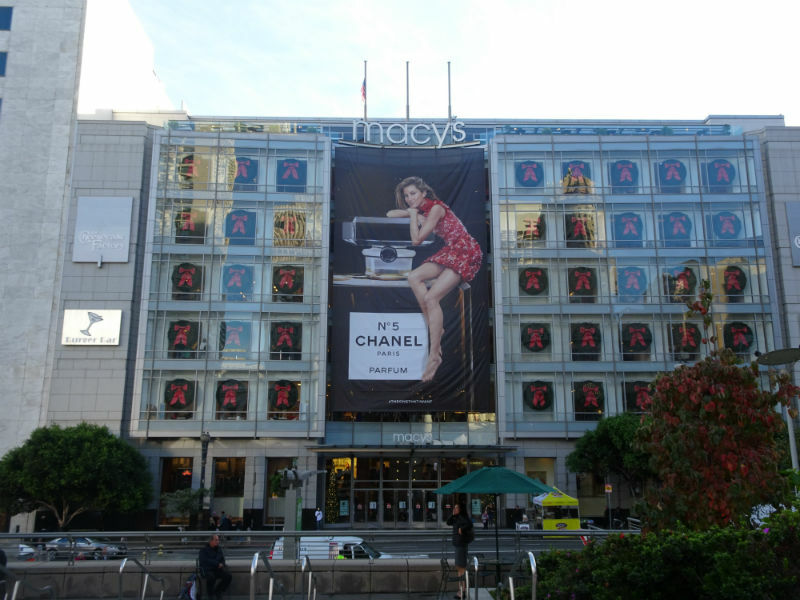 For the last decade or so the Macy’s windows have been home to cats and dogs from the San Francisco SPCA – which can all be adopted! Kind of annoyed I missed out on seeing them. But also kind of glad, because a) I would not have come home, or b) I would have tried to hand over my friend in exchange for 40 kittens. 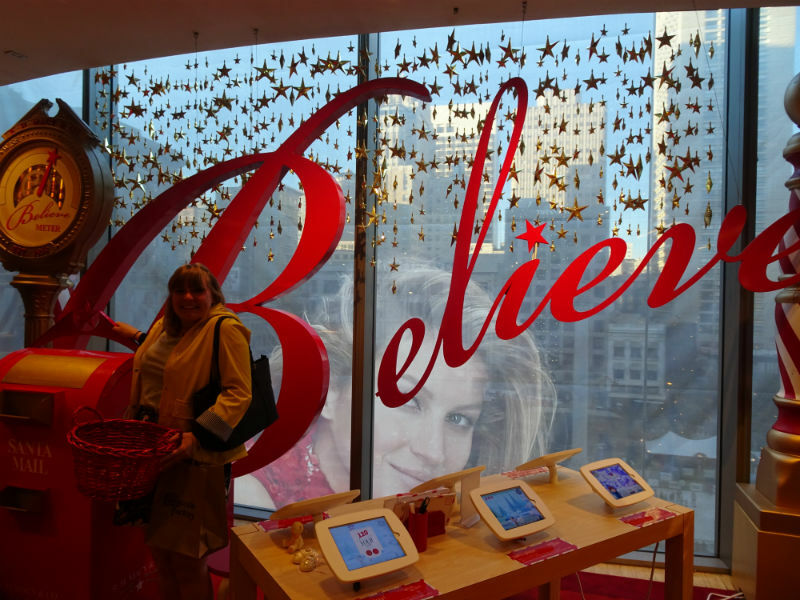 One thing I did get to see in Macy’s, however, was the Christmas floor! Oh my lord, I’m still getting over it all. It was just magical. I could have bought everything there! 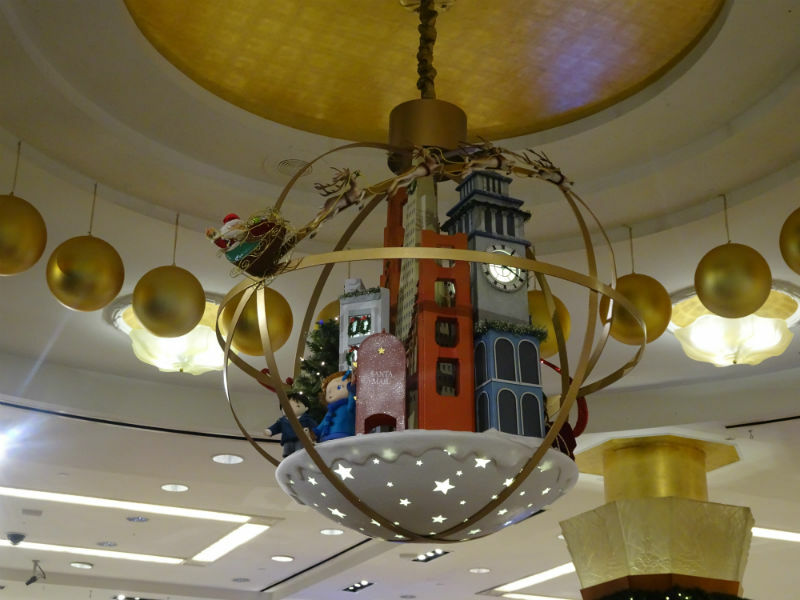 As for other Christmassy sights in San Francisco? 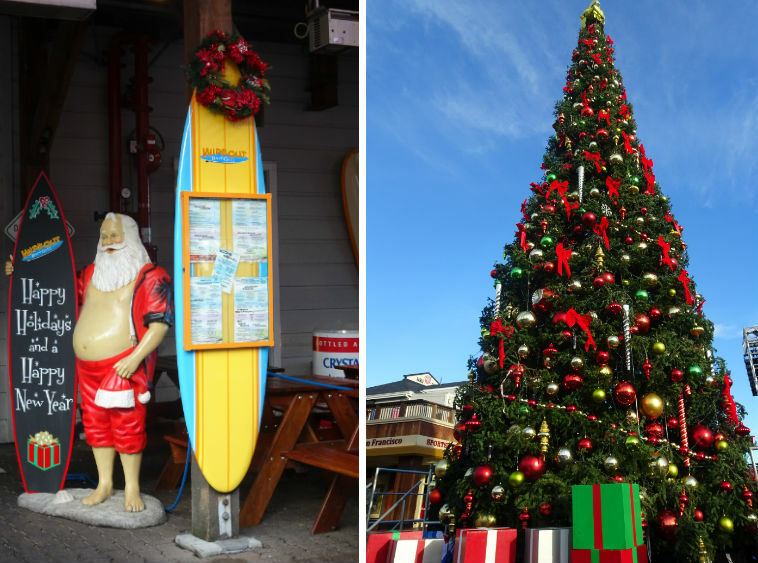 Fisherman’s Wharf had its fair share of displays, including a giant tree surrounded by presents. 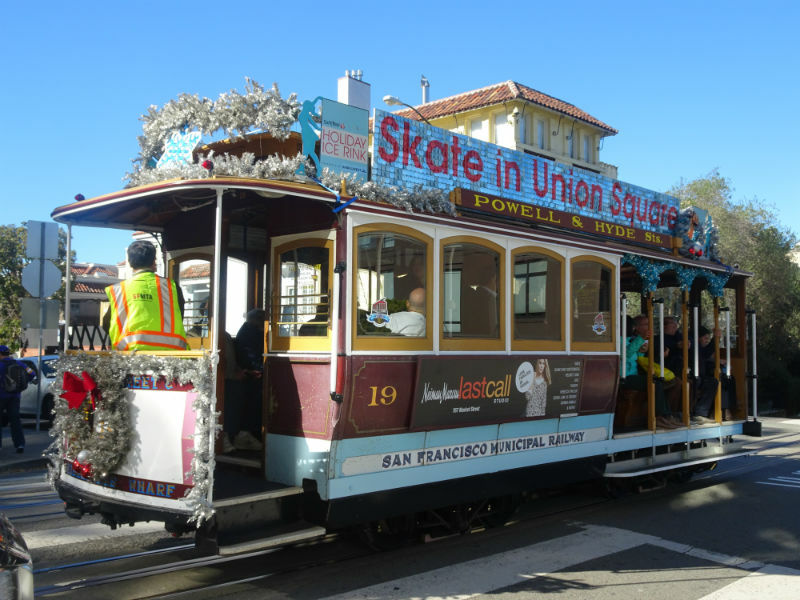 Even the iconic cable cars got in on the action, plastering themselves with tinsel and bows! 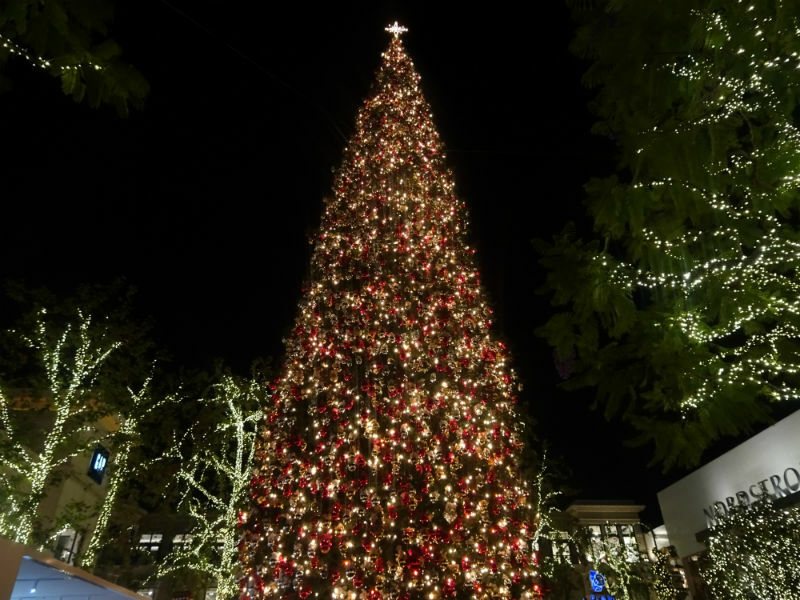 Do you have any favourite Christmas sights in Los Angeles or San Francisco? LOVE love love! So much christmas! !